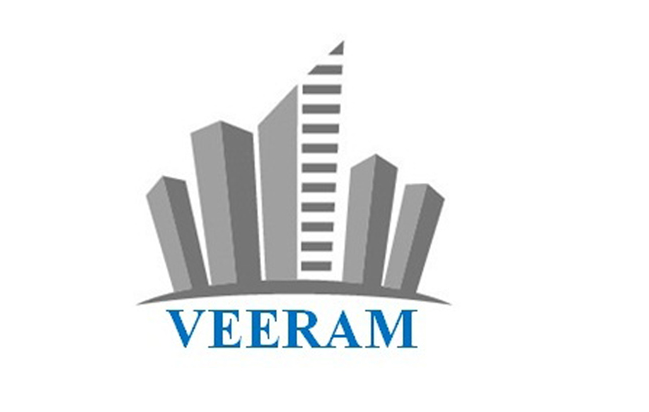 (i) Ahmedabad based Veeram Infra Engineering Limited was incorporated in 1994. The company entered into the business of Graphic Designing. Being successful in graphic designing and the growing demand for graphics printing, Promoters decided to expand its current business in 1996 through the forward intergration strategy, i.e., it started its own printing business. Promoters added the printers having the latest technology that helped the company in offering multi-colour offset printing services, single colour offset printing services, commercial printing services for calendars, catalogs, brochures, posters, annual reports manuals, etc. Backed by a team of qualified and skilled professionals and lastest printing technology, the company has obtained a long list of reputed clientele. (ii) Over the last 2-3 years, promoters have a developed a focused and bigger vision in the real estate sector. In order to execute the same, the promoters have decided to diversify its business actitivies in the real estate sector. With this mission in their mind, the promoter have made the necessary changes in the Company`s MoA wherein our 70% company`s revenues from now on shall be earned through its real estate business and the remaining from its ancillary business. (iii) In the real estate business shall include development and sale of land, residential properties including identification and acquisition of land, development of land & infrastructure, acquisition of development rights of projects, marketing of projects/land. Currently, our company has entered in to a land development agreement for Land Development and Plotting Project at Village Zamp, Taluka Sanand, District Ahmedabad, Gujarat. We are in the process of land development and plotting of the above land admeasuring approximately 7.34 hectares. We will be doing the levelling and land filling work and will also do plotting and boundary work to sell these plots in different sizes as per the customer requirements. Promoters of Veeram Infra Engineering Limited Company are: Mr. Satishkumar R. Gajjar aged 54 years is the Promoter, Managing Director & Chief Financial Officer of our company. He has more than 25 years of experience in business management and since last 2-3 years he has been associated with Real Estate Industry and has gained fair Knowledge of Real Estate Development. He looks after Overall Business Development, Project Implementation, liasoning with brokers and government authority for plan approval and other related matters. He led many new initiatives in Veeram Infra Engineering Limited and has been key player in growth of company. Mrs. Geetaben S. Gajjar, aged 51 years is the Promoter and Whole Time Director of our company. She is Undergraduate and is associated as a Director with the company since 5th September, 2003 and has been appointed as whole-time director w.e.f. 10th January, 2018. She is involved in the business right from conceptualization stage to execution stage like planning, monitoring the all activities. She looks after Administration and HR division our Company. The IPO of such companies coming at platform of BSE shows that Indian Stock Market are misused from long time to loot innocent investors. The stock market is treated as a tool to loot investors. However, we are quite vocal to avoid such companies which are not in the interest of investors community. First they started with the business of Prinitng, offering multi-colour offset printing services, single colour offset printing services, commercial printing services for calendars, catalogs, brochures, posters, annual reports manuals. However, later on due to arrival of digital printing the company moved into new business i.e Trading of pulses, garments and metals. Over the last 2-3 years, the promoters have a developed a focused and bigger vision in the real estate sector. In order to execute the same, the promoters have decided to diversify its business actitivies in the real estate sector. So in nutshell it is observed that the company has no focus in the business. With time they are keep on changing their business activity with very little success and same can be seen in the financials of the company. They have profits in thousands in the last 4 years. I do not how such companies even come up with an IPO thinking investors will invest their money. First overseas last issue UHZaveri is down 70 pc. I am not sure how even after such dismal performance record even few retailer in apply in such lead manager companies. All issues bought by first overseas are mostly in jewellery .